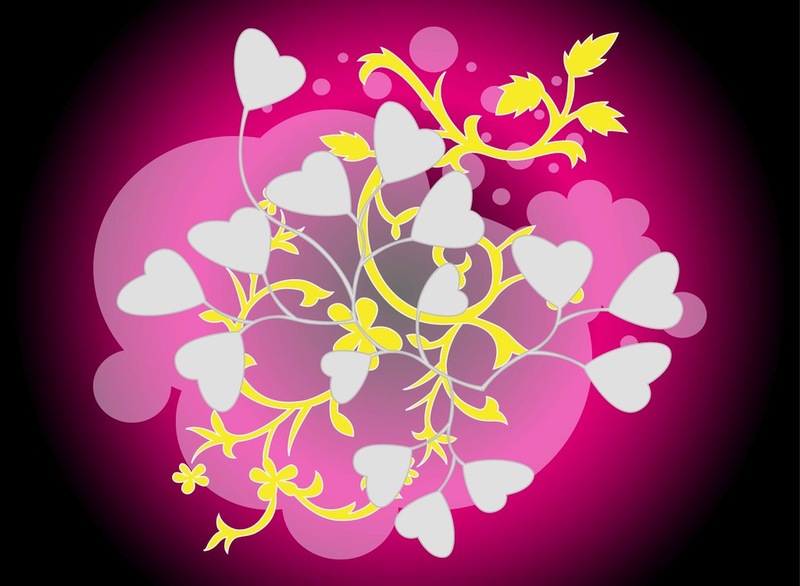 Romantic floral vector footage. Silhouettes of plant stems and leaves in the shape of hearts. Transparent rounded shapes behind the flowers. Free vector layout for Valentine’s Day greeting cards, posters, event invitations, clothing prints and backgrounds. Download flowers image for spring, love and flowers designs. Tags: Abstract, Decorations, Floral, Love, Nature, Spring, Valentine.